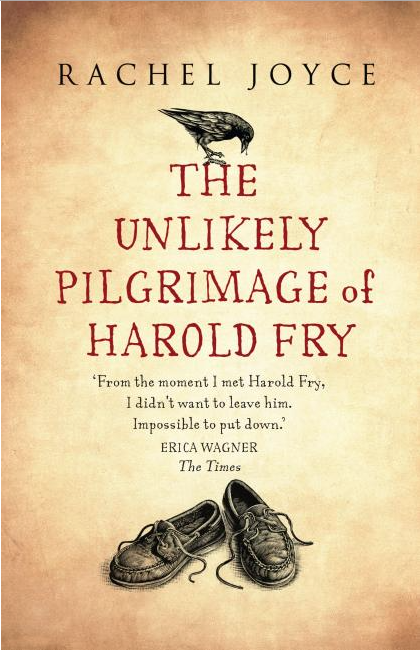 A friend of mine gave me the gift of a book The Unlikely Pilgrimage of Harold Fry, a brilliant novel about a timid man in his later years, who discovers that a former friend and colleague is seriously ill. Harold sets out with the intention of posting her a letter but instead embarks on 600-mile walk from Devon to Berwick-upon-Tweed. I loved the book very much and made me reflect about the journeys we set out on, often not knowing where we will end up but knowing that we have to go nevertheless. Lately I have given in to that urge more and more and have taken much pleasure and joy by going places: to concerts, exhibitions and plays for the pure pleasure of feeling alive. During these visits and performances I am in awe of the great capacity that humans have to create works that can bring both pleasure and healing. I look at these works in a different way that I did in the past though I don’t know how to explain this difference! I only know that they work deeply in my consciousness and that I feel very contented. Last week out of the blue I decided to go to London because I had a burning desire to see the Late Turner exhibition. Normally I would agonise over the ‘rightness’ of doing such a thing, dismissing the idea with the excuse that I couldn’t possibly take days off or afford the cost. But this time I went without much thinking and once there I spent the whole day in the Tate gallery gorging myself with art. Later I went walking for a long time through the streets of London, a city that I always said I didn’t like, yet this time it felt different. I kept thinking “How extravagant to come to London to just see one exhibition!” and yet I felt giddy for doing it. I suppose we embark in all sorts of pilgrimages and for all sorts of reasons but I know that for me, to engage in the arts both as creator and as spectator is equally important and that so far I did not do enough of the latter, a thing I am going to put right straight away! So I am planning many more of these (and others) pilgrimages and I know that the amount of resources needed for these new adventures will come when the time demands it.